Chances are you know of Corsair. As one of the leaders in high performance gaming hardware, we’re excited to hear of a new set of headsets, bringing stunning game audio and supreme comfort to Xbox One, PS4 and PC. 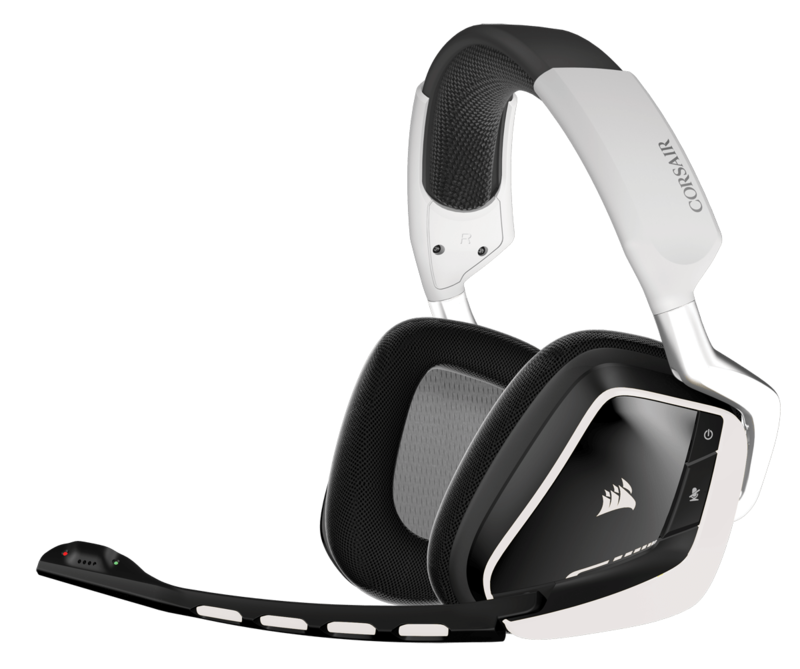 Available with immediate effect are the Corsair VOID Surround and Corsair VOID Wireless RGB White headsets. 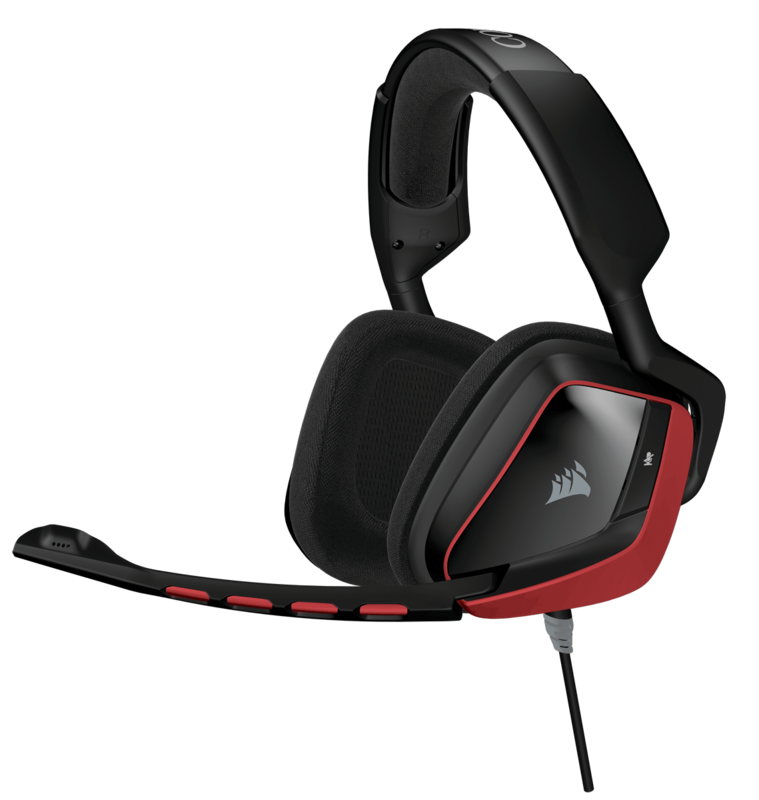 This sees the range of headsets available from Corsair expand and offers up universal compatibility for Xbox One, PS4 and PC. The VOID Surround opens up its legendary gaming audio and supreme comfort for any platform, while the white version of the VOID Wireless RGB headset adds a striking, clean look to complement its 40 ft. wireless range and all-day battery life. With a 3.5mm connector, the VOID Surround will offer instant connectivity to not only your smartphone or tablet, but also your Xbox One (either via the Headset adapter or the 3.5mm port on the newer controllers) or PS4. PC users will get access to a USB 7.1 Dolby headphone adapter, bringing you full genuine Dolby Surround as well as a fully customisable EQ in the Corsair CUE (Corsair Utility Engine) software. As is the way with all Corsair VOID headsets, the VOID Surround is built for comfort and durability, coming complete with memory-foam ear pads and a cast aluminum construction. Oversized 50mm neodymium drivers deliver brilliant, precise highs and powerful bass, while a sophisticated unidirectional noise-cancelling microphone makes sure your teammates hear you loud and clear. But that’s not all Corsair have announced today, for the VOID Wireless 7.1 RGB Gaming Headset in white also arrives. Coming complete with full Dolby Headphone 7.1 surround audio without the need for tons of cables, up to 40 ft. of wireless range and 16 hours of battery life, the new Wireless 7.1 RGB Gaming Headset ensures all-day gaming sessions go uninterrupted with the minimum of fuss. Its Corsair’s most advanced wireless headset and it’s now in a striking new color to match your lighter gear. You’ll be able to grab the VOID Surround for around $79.99, whilst the VOID Wireless RGB in white will come in at $129.99. We’ll see what the word on the street is regarding a UK release and keep you updated. Next articleCarmageddon: Max Damage announced for Xbox One and PS4. Screens and trailer included.